When Super Bomberman R launched alongside the Nintendo Switch back in March this year, many were surprised by its sudden appearance. Konami hasn’t quite been the same ever since the Silent Hills incident, and no one was really expecting new games from them much less a new Bomberman game, but lo and behold. Released to some rather lukewarm reception, Super Bomberman R was praised for, well, being a new Bomberman game which are always great party games. The game however lacked a lot of content at launch, and to even more surprise Konami actually supported the game over time with new updates and content patches. Such is the case today with Super Bomberman R‘s 2.0 update. 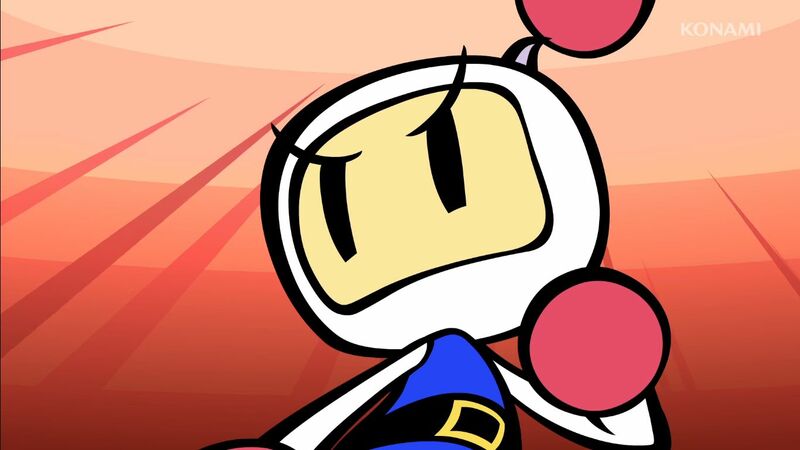 In this update, Super Bomberman R reaches its next major patch milestone, and for good reason – there’s an all new game mode called Grand Prix. In Grand Prix mode, matches consist of two rounds and the team with the most points wins. Losing a life isn’t the end – you’ll be automatically resurrected after a certain time has passed. Grand Prix has two modes you can choose from: Basic and Crystal. Basic mode is a regular old fashioned Bomberman match where you simply need to blow your opponents to smithereens to win. Crystal is a new mode where the two teams have to collect crystals to earn points. The Bomberman Bros. have unique abilities to them, but they can also equip cartridges which grants them abilities of other characters. You’ll be able to play Grand Prix mode in local wireless mode with up to six Switch consoles. There are also a bunch of new characters and two stages available for purchase in the shop. Konami has also added a bunch of accessories based on their franchises like Castlevania, Silent Hill, Zone of the Enders, and Mystical Ninja among others into the shop as well. It’s some sort of Konami revival! Update 2.0 launches today, so get to bombin’! You can read the full patch notes on the official website.